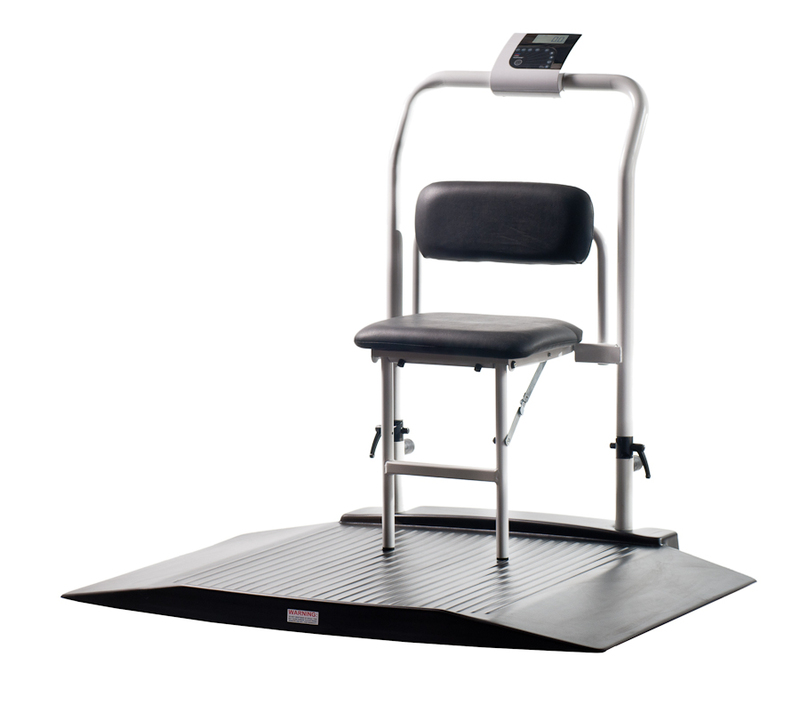 Manual/Automatic Tare option enables weight of wheelchair to be reduced. 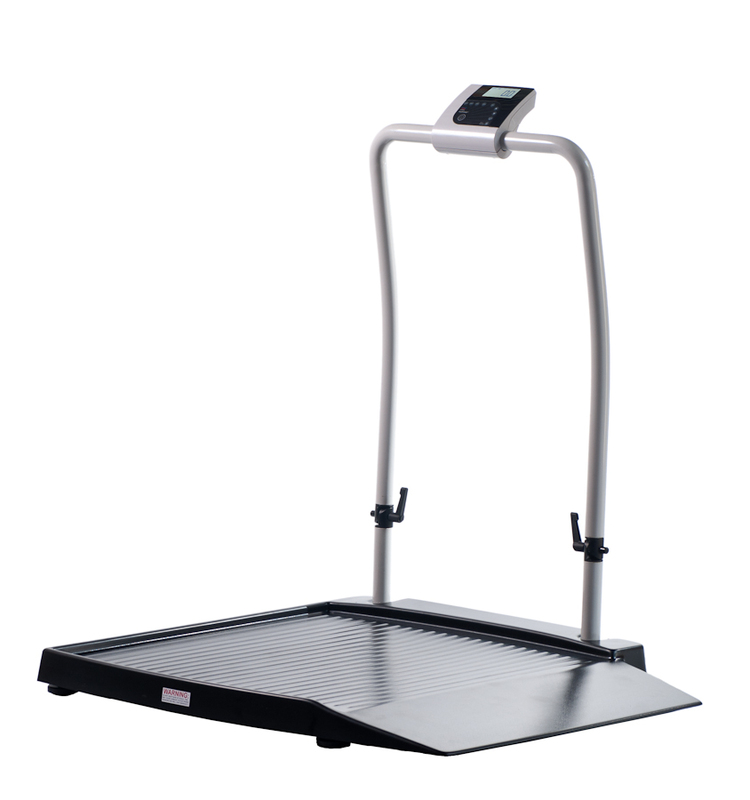 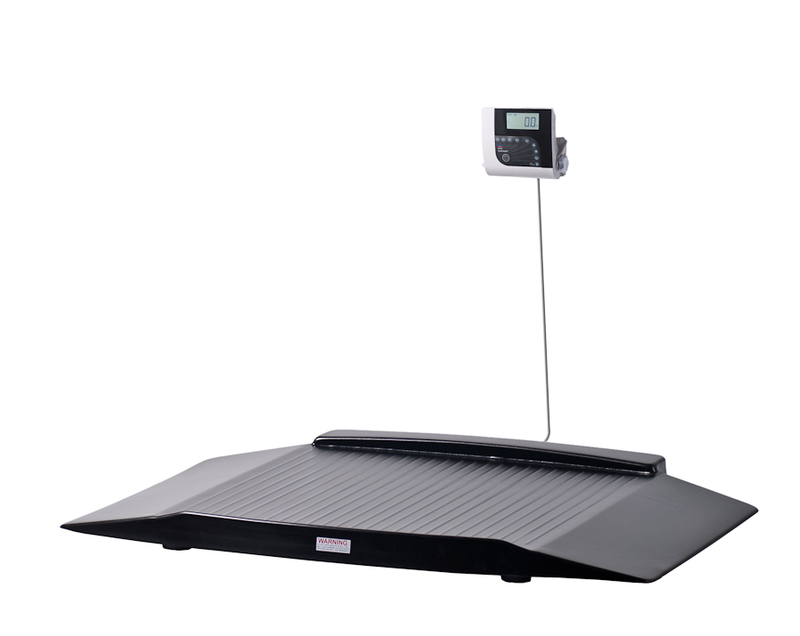 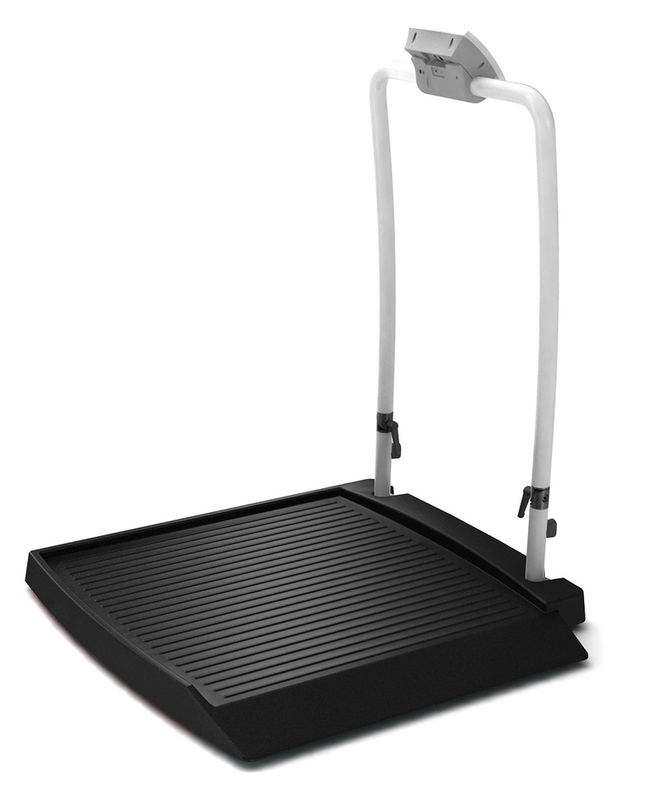 Wheelchair Scale 341-00-4 extends the concept of multifunctionality. 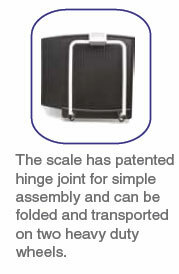 supported by the robust handrail.